Nabbing the perfect partner can be tricky at the best of times. 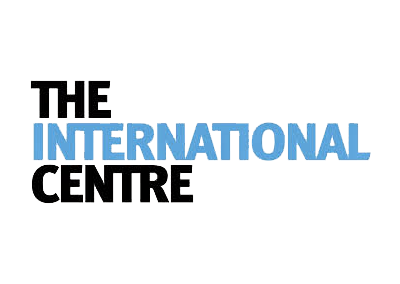 For the world-renowned International Centre in Toronto, it’s doubly hard. Where could the Centre find a brand as highly regarded as itself—one that embraces the philosophy of “go big or go home”? The answer was clear: GoBarley. The organization recently signed the first contract of its kind to display the GoBarley logo on all barley products made in the Centre’s recipes, which are distributed to restaurants around the world. In matchmaking terms, it appears to be the perfect fit—GoBarley’s local quality standards align nicely with the International Centre’s reputation for providing only the best food products. As the leading event facility in Central Canada, the International Centre is taking conference planning to new heights. And what else would you expect from a site that started out as an airport hangar? That was 40 years and several expansions ago. Today, it boasts 48,000 square feet of meeting space, 15 multipurpose rooms and over 450 events every year. In addition to offering state-of-the-art facilities and unparalleled service, staff at the International Centre pride themselves on giving back to the community. “We raise money for a number of worthy causes,” said executive chef Tawfik Shehata, “including the SickKids Hospital and community food centres. We also participate in community outreach programs, providing breakfast for underprivileged children at local schools.” They believe in nourishing the mind as well, supporting scholarships, internships, co-op programs and curriculum development. For Shehata and the Centre, caring for the community also means caring for the environment. As well, the Centre employs LED lighting to minimize its carbon footprint, saving about $300,000 a year on utility costs. It’s little wonder, then, that an organization committed to excellence and forward thinking would team up with GoBarley. “In 2013, I was approached to fill a last-minute chef vacancy at the Taste Canada cookbook awards,” said Shehata. “While I was happy to donate my time, I didn’t have the budget to buy the ingredients.” And that’s where fate took over. Linda Whitworth, market development manager with Alberta Barley, stepped up to provide the barley for the event—planting the seeds for a new working relationship. “The dishes we made with Alberta-grown barley really wowed people,” said Shehata. “Linda then asked me to write the inside flap for the Go Barley cookbook and MC the book’s launch in Toronto.” He now features barley in several menu items at the International Centre and writes regularly for the GoBarley website. As the partnership progresses, Shehata is looking forward to learning more about barley and showcasing its versatility. While some relationships take a long time to evolve, the pairing of the International Centre and the GoBarley brand is clearly a case of love at first bite.